Fits: Celestron 11" (28 cm) f/10 SCT versions (metal or carbon fiber tube) with standard (non-metric) thread factory collimation screws and "Trifid" rotary cover Fastar secondary housing. Factory collimation screws are silver Phillips. These knobs will also fit the C11 with Starizona Hyperstar if the collimation screws have standard threads. 1. 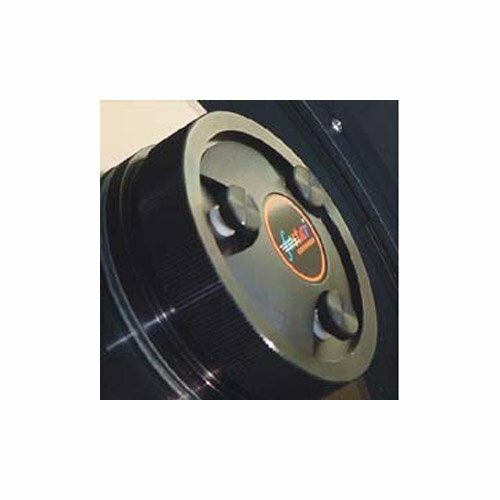 These telescopes can have factory collimation screws with either standard or metric threads. Silver Phillips collimation screws are standard thread. Some black Phillips collimation screws are also standard thread. See our hints for more information. 2. The item listed on this page is the one with the standard (non-metric) thread. The metric thread version of this knob (Bob's Knobs item # C11metfst) is sold separately.